Our product range includes a wide range of Tripod Ball Head Kit Shoe mount, Binocular / Spotting scope Mount & Field Tripod, Galileo T Ring for Telephotography _Canon EOS, Galileo T ADAPTOR Plus Variable Eyepiece Projectio, Galileo T ADAPTOR Plus Eyepiece Projection Combine and Galileo Astro Eyepiece 25mm. Professional-Quality. This tripod is built to meet the demanding durability required for professional viewing and photography. Whether your interest is photography, nature observation with a spotting scope or celestial seeing, you will get a solid support with this newly designed field tripod. A T-ring converts a camera's mount to a standard T-thread. All camera adapters will fit this T-thread. This combination prime-focus an eyepiece camera adaptor has a sliding barrel design that allows variable projection distances. This eliminates the need to change eyepiece when different magnification or when additional projection enlargement is desired from an eyepiece projection photography. This additional projection range is of particular value in high-resolution Lunar / Planetary photography is required. Universal 1.25" T-Adapter in addition includes an adaptor for variable eyepiece projection photography. Universal 1.25" T-Adapter in addition includes an adaptor for an eyepiece projection photography. You will need T-Ring to mach it to your brand of camera. Are you in need of a good quality eyepiece / Barlow? Do you want to upgrade the magnifying power of your telescope? We offer fine standard eyepieces and Barlow lens for your telescope. Our reasonable parfocalised eyepieces are manufactured with a 1.25"OD American Standard barrel diameter. NOTE : These Astro Eyepieces are not threaded for photo-visual colour filter. Hence a FILTER ADAPTER UNIT is necessary when you want to use colour filter with Astro Eyepiece only. Highly useful intermediate focal length, perfect for studying planets, lunar surface detail and small clusters or to split double stars. Celestron Eyepiece & Filter Accessory Kit - 1.25"
The Celestron Eyepiece Accessory Kit includes five Plossl eyepieces (6, 8, 13, 17 & 32mm), a 2X "short" Barlow Lens, six colored filters, a moon filter, and an aluminum carry case. Bring out details in our neighboring planets that would go unseen without their assistance. The Celestron 1.25" Eyepiece and Filter Kit is a great add-on to any telescope that uses 1.25" eyepieces to maximize your observing pleasure! This accessory kit includes a great combination of eyepieces that will give you a plethora of magnification choices for any telescope with a 1.25" focuser or diagonal. Add a 2X barlow lens to the mix, and youve got ten, count em, ten different ways to look at any given object! If thats not enough, Celestron decided to throw in a whole collection of planetary/lunar filters, which will help bring out details in our neighboring planets that would go unseen without their assistance. They round off this exclusive accessory kit with a rugged aluminum carrying case...store all of your new accessories, plus a few more, in style and comfort. Five 1.25" Plossl Eyepieces: These eyepieces have a 4-element design with a 52º apparent field of view, with the exception of the 32mm, which has a AFOV of 44º. They display excellent color, resolution, edge sharpness, and clarity. All eyepieces are fully multi-coated for maximum contrast and resolution. Supplied are a 6mm, 8mm, 13mm, 17mm, and 32mm. Barlow Lens: The 2X, 1.25" barlow lens compliments the Plossl eyepieces in this kit and gives you a total of ten power combinations. The highest grade glass optics with fully multi-coated lenses are used, so there is no degradation of image. Six Colored Eyepiece (Planetary) Filters: Included are 1.25" glass filters with Kodak Wratten #12, #21, #25, #56, #58A, & #80A. Since you have all the eyepieces necessary to study the planets and moon in details, these filters will greatly enhance your enjoyment of our solar system. Moon Filter: A neutral density filter allows you maximum enjoyment of the moon, especially during the brighter phases. Aluminum Carrying Case: This sturdy and well-built case fits all of the above items in the die-cut foam interior and has room for additional accessories. Who said you have to be in the dark to do astronomy! Turning your telescope to the Sun is fun and educational. Watch the march of giant sunspots, the clouds of glowing vapor in the photosphere, and solar “granulation” detail. But be sure to protect your precious vision with a safe Astro Solar Safety film Filter! Looking at the Sun without one, even for an instant, can permanently damage your eyes. specially manufactured streak and blister free foil only 0.012mm thick and attains the optical quality of plane parallel glass filters. The base material is not Mylar. The highly uniform molecular structure of this material is the result in nuclear elementary particle physics. The coating is subject to constant quality control. It’s reflective property of over 99.999% has been the German Republic Bureau of Standards and Conformity with EU norm 89/686 is certified with CE symbol. It reduces the intensity of sun light by factor of over 100,000. Coating on both sides of the foil ensures a highy uniform filtering. While neutralising the occasional microscopic holes in the coating (which are also much more present n glass filters). One layer of this foil is sufficient for the construction of a safe, high resolution solar filter. The quality of the solar image is immeasurable, better than what can be achieved by using a so-called Mylar “rescue blankets” or similar materials, which must be used in several layers. 1) To absorb internal reflections (reducing haziness present in other films). 2) To reduce internal stresses which dramatically improve the optical performance over Mylar and similar filters. 3) Gives neutral white image of the Sun without any color, against a black background sky. Astro-Solar filter is a very flexible substance by nature. When mounted in the filter cell, it will be quite wrinkled. Don’t be upset by the appearance because the best resolution is obtained when the material is slightly relaxed or wrinkled. Magnification factor: 2xLens: Achromatic Double Concave1.25” (32mm) fitting diameter.Fully glasses for excellent image contrast and light transmission.Plastic Dust caps to keep optics dust free when not in use. The Barlow lens, named for its creator, the English engineer Peter Barlow, is a diverging lens which, used in series with other optics n an optical system, increases the effective focal ratio of an optical system as perceived by all components after it in the system. The practical result is that inserting a Barlow lens magnifies the image dust free when not in use. In its astronomical use, a Barlow lens may be placed immediately before an eyepiece to effectively decrease the eyepieces focal length by the amount of the Barlows divergence.Since the magnification provided by a telescope and eyepiece is equal to the telescopes focal length divided by the eyepieces focal length, this has the effect of increasing the magnification of the image. Astronomical Barlow lenses are rated for the amount of magnification they induce. Most commonly, Barlow lenses are 2x or 3x but adjustable Barlows are also available. The power of an adjustable Barlow lens is changed by adding an extension tube between the Barlow and the eyepiece to increase the magnification. The amount of magnification is one more than the distance between the Barlow lens and the eyepiece lens, when the distance is measured in units of the focal length of the Barlow lens. A standard Barlow lens is housed in a tube that is one Barlow focal-length long, so that a focusing lens inserted into the end of the tube will be separated from the Barlow lens at the other end by one Barlow focal-length, and hence produce a 2x magnification over and above what the eyepiece would have produced alone. If the length of a standard 2x Barlow lens tube is doubled, the lenses are separated by 2 Barlow focal lengths and it becomes a 3x Barlow, if the tube length is tripled, the lenses are separated by 3 Barlow focal lengths and it becomes a 4x Barlow, and so on. A common misconception is that higher magnification equates to a higher-quality image. However, in practice, the quality of the image generally depends on the quality of the optics (lenses) and viewing conditions, not on magnification. You dont have to spend fortune for good quality oculars. Our Plossls are attractively priced for even limited budgets. Their 3 and 4 elements glass lens configuration provides a pleasing 52-degree and more apparent field of view, wider than that of many pricier eyepiece designs. The lenses are carefully ground and polished from quality optical glass to provide excellent image sharpness and brightness. They are fully coated with anti reflection material to maximize transmission of incoming light and improve image contrast. The anodized barrels are precisely machined and internally blackened to prevent stray light reflections. They are also threaded to accept standard filters. Whether you are looking to upgrade from lower quality eyepieces or just want some good reliable oculars at a reasonable price, you cant go wrong with our Plossls. We offer range of different focal lengths from low power general purpose 40mm and 32mm to the high power 4mm. Get all and you will be set for any observing challenge. With any given telescope, You cannot have ONE eyepiece and observe everything at its best. Each eyepiece is meant for different purpose and are best suitable for certain objects and viewing conditions. Its always a better idea to have series of eyepiece in your bag to get best out of any telescope and observing conditions. Nice quality eyepiece for high powered views. Great value for money eyepiece. 10mm Kellner design will give sharp views of planets, great detail in the moon also. All metal design means this eyepiece is very robust. Three elements mean the Kellner eyepieces offer high contrast at a low price. Ideal for telescopes with a high focal ratio. Threaded to accept 1.25" filters. Internally coated to reduce reflections. Great value for money eyepiece. 25mm Kellner design will give sharp views of planets, great detail in the moon also. Galileo Astro Eyepiece 4mm 1.25"
Highly useful short focal length, perfect for studying planets, lunar surface detail and small clusters or to split double stars. Offers a very wide true field and a wide apparent field, for dramatic visual effects. This T-1.25" Adapter allows for prime focus photography through any telescope with a standard 1.25" eyepiece rack-n-pinion focuser. It is threaded for filters. Desiccant Cap, ideally design to prevent moisture forming in your telescope. Desiccant CAP fight back effectively when your telescope is in storage or transport. Desiccant Cap fits perfectly inside the focuser of your telescope and safely holds a desiccant Gel that absorbs excess moisture and protects your precious optics day and night. Keep fungus away with this simple unit. Just insert in the focuser of your telescope. The Gel supplied is of an indicating type-Blue, when absorbs moisture will change colour. It can then be heated to regain its Blue clour. Perfect for refractors, reflector, Maksutov and SCHMIDT Cassegrain. Magnification factor: Variable 1.5x to 3xLens: Single Concave1.25” (32mm) fitting diameter.Fully glasses for excellent image contrast and light transmission.Plastic Dust caps to keep optics dust free when not in use. The Barlow lens, named for its creator, the English engineer Peter Barlow, is a diverging lens which, used in series with other optics n an optical system, increases the effective focal ratio of an optical system as perceived by all components after it in the system. The practical result is that inserting a Barlow lens magnifies the image dust free when not in use. Magnification factor: 4xLens: Single Concave1.25” (32mm) fitting diameter.Fully glasses for excellent image contrast and light transmission.Plastic Dust caps to keep optics dust free when not in use.The Barlow lens, named for its creator, the English engineer Peter Barlow, is a diverging lens which, used in series with other optics n an optical system, increases the effective focal ratio of an optical system as perceived by all components after it in the system. The practical result is that inserting a Barlow lens magnifies the image dust free when not in use. Finally, a small finder with a right angle eyepiece to make your viewing more comfortable! The Orion 6x30 Right Angle Finder has fully coated glass ensuring a crisp view. Included crosshair makes it easy to find and point with accuracy. The Orion 6x30 Right Angle Finder has a powerful 6x magnifying power, 30mm-diamter objective lenses and 7-degree field of view. Sometimes looking through a straight finder scope can be a strain, making you crouch down and crane your neck. Well, you can call off the chiropractors because this right-angle finder scope lets you view in contortion-free comfort! What's more, it has a built-in Amici prism to provide a correctly oriented view — not upside-down as with standard finders. This achromatic, crosshair finder features fully coated glass lenses, internal baffling, and focus adjustment. It includes an aluminum bracket with two perpendicular thumbscrews for easy alignment. Dovetail foot fits many Orion telescopes (see list below). Dovetail base (#7214) can be purchased for custom installations. Prism and telescope eyepiece are not removable. Want the best views possible from your reflector telescope? Perfectly align your reflector optics with our second-generation LaserMate Deluxe Collimator!Convenient rear view port lets you easily collimate optics from the rear of the reflector telescopeOperates on one CR2032 battery (included) and comes with a full set of instructions with a step-by-step procedure on how to properly align a relfecting telescopeFits any 1.25" telescope eyepiece holder.Precise collimation ensures that you'll enjoy the sharpest possible images.Class 3R laser product, avoid direct eye exposure. The UHC filter, like the O-III filter, allows only the two doubly ionized oxygen lines while blocking everything else, thus highlighting and revealing the beauty of planetary and emission nebulae. This filter permits superb views of objects like the Orion, Lagoon, Swan and other extended nebulae. It performs well in smaller aperture instruments owing to its greater light transmission still suppresses light pollution well. The UHC filter is the best all- around dark-sky nebula filter. Brighter nebulae benefit from increased contrast, and hard-to- see nebulae become visible. High quality filter designed to enhance your views of Emission Nebulae such as the Swan, Lagoon and the Orion Nebulars. Enhance your views of Emission Nebulae. e.x. the Swan, Lagoon and the Orion Nebulars. Excellent for viewing nebulae under dark sky or the urban sky. Screw in to 1.25" eyepice. Orion V-Block Anti-Fringing Filters 1.25"
Orions Hydrogen-Beta Telescope Filter effectively blackens the background sky, allowing the faint nebula to become clearly defined. It increases contrast even under dark skies so you can visually capture these prized targets. Use with a moderate to large aperture telescope under clear, dark viewing conditions. Threaded to fit 1.25" and 2" telescope eyepieces and telescope diagonals. Damp out vibrations transmitted through tripod, mount and telescope tubes for more stabilize images with your telescope. Viscous-elastic material neutralizes vibrations transmitted through touching the instrument. Ideally suit both for visual astronomy and astrophotography. The effect is dramatic. Perfect for both Terrestrial and Astronomical viewing combine. This combine diagonal allows view at 90 degree for astronomy, and just a flip of a mirror to 45 degree for convenient terrestrial viewing, for those who prefer easy viewing. Threaded for photo-visual colour filters. The MOON FILTER is a precision neutral density filters that spreads the Lunar intensity uniformly over the visual spectrum. When the Moon is full or nearly full, it’s disk appears blindingly bright with reflected sunlight. The glare washes out most of the craters, rills and other surface details. Moon filter reduces glare and intensity, thereby enabling you to study Lunar features in greater comfort and without spoiling your night vision. Reduces irradiation, which is the distortion at the boundary between light and dark areas such as along the Lunar terminator. For Visual use simply thread these filters into the 1.25” eyepiece barrel of any imported or Super Astro Eyepiece. 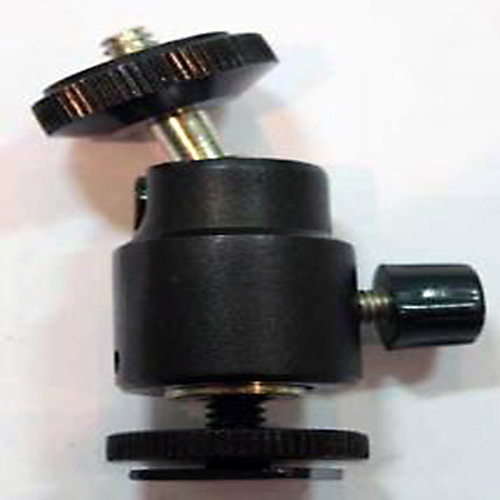 Eyepieces made from GSO for Telescope Service offer a very good quality for an affordable price. Yields the largest possible field of view in a 1.25" barrel. It is superb for WIDE - FIELD scanning and detailed observations of large diffused subjects. Its long focal length allows the largest exit pupil and highest possible brightness. 4mm Plossl Eyepiece produces very high magnification and will work best on long focal length refractors and standard Schmidt-Cassegrains. Unless you have very steady seeing, this range more than likely will produce too much magnification on other telescope styles. . Features multilayer Dielectric coatings on glass surface, which makes the genuine SkyGlow filter 1.25"' greatly enhances visual contrast for lunar & planetary work. Cuts most streetlights. Improved contrast for all reflector telescopes, without loss of brightness! Especially effective on small economy telescopes which cannot benefit from expensive narrow-band nebula filters due to the huge light-loss involved. The High-Performance Sky-Glow Telescope Filter blocks the common wavelengths of light pollution and enhances your images into the breathtaking views you expect. Sky-Glow Filter is formatted to fit any 1.25-inch format eyepiece to help increase your image definition the background sky. If increased contrast on deep-sky objects sounds like a thrill, try out – you won’t go back.